At the end of next month my little girl will be turning one. This year has flown by so fast, its made me both happy and sad. Happy that she has been going into the next phase in her life, but sad because it feels like I was just bringing her home from the hospital. With her turning one soon, I know it's almost time for me to start creating new potty training sheets to use for her like I did my other two kids. Now, I have to say I got pretty lucky with my older two. Potty training was a breeze. After the first week, my oldest daughter had it down and was good to go and it took my son a bit longer, but not too much. He was fully trained a few weeks after we started. It's been seven years since I last potty trained a toddler. Although it didn't take a long time for my older two to get the hang of it, the process was both stressful and rewarding for all. I think my son had it easier since he was excited to potty train because his older sister, who is 23 months older than him, was fully trained and he loved doing what she did. With my older daughter I used the sticker system. I created a chart and for every time she went on the potty she got to pick a sticker of her choice to add to the potty chart. Once she had a line completed, she was then rewarded with a treat from the Potty Box, which had candy in it. Now for my son, although the potty chart worked for him, he also wanted to use the potty like dad. This was tricky for me since I couldn't show him how daddy did it, but I was then told a cool tip from my sister in law to put fruit loops in the potty and have him practice aiming. It may sound silly but it worked and he had so much fun when going number one to the potty. Now, obviously what works for one child may not work for another child. Each kid is different and so they have to find what works for them. This goes for the parents too. 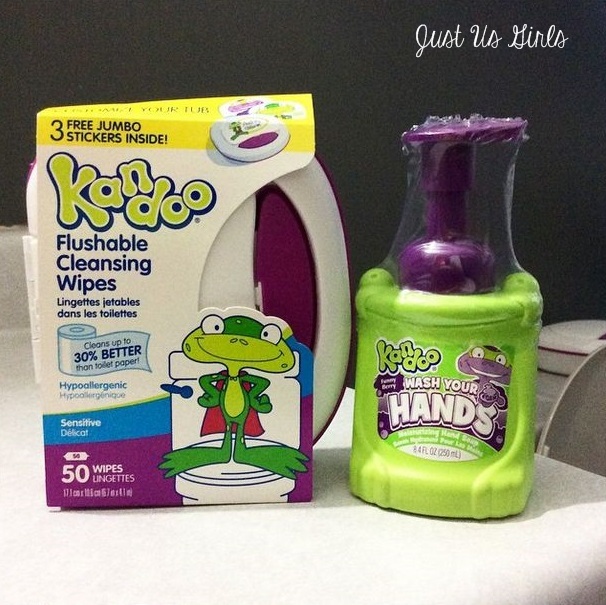 One thing I always had on hand were the Kandoo Wipes and Handsoap. 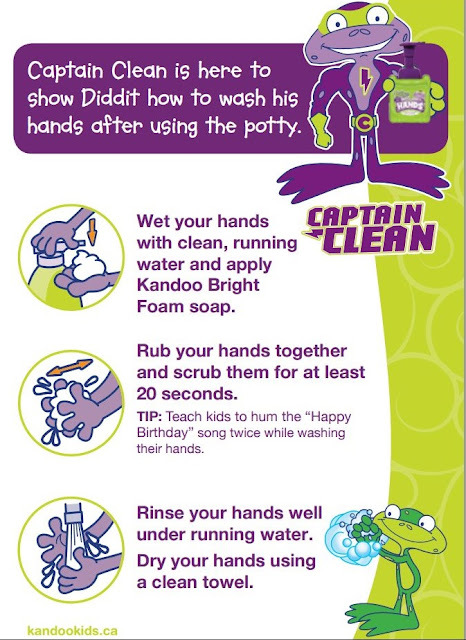 Both my kids were huge fans of the soap and I was a huge fan of the wipes because they helped with the sticky situations, if you know what I mean. 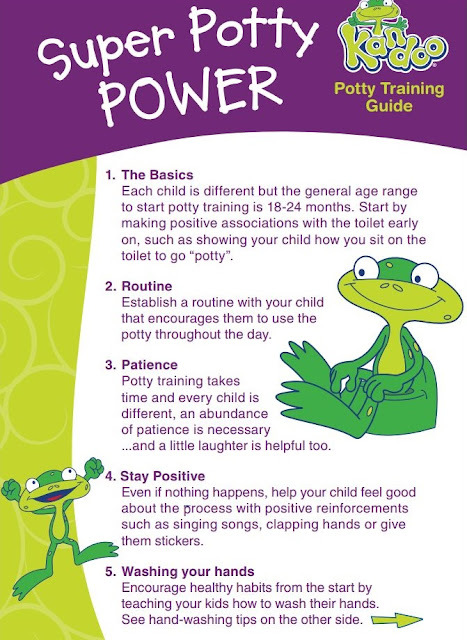 Below is a Potty Training Guide provided by Kandoo to help you with your little one when it's time to get started. For more information on Kandoo products and tips on Potty Training be sure to head to www.kandookids.ca.